2inch Twin Wheel Chair Casters With Grip Ring Connector Black. This Twin Wheel Chair Casters can be equipped in chair, quite great replacement! Features double wheel with 2inch in diameter, design with grip ring connector. Grip Ring Chair Casters made from plastic wheel with metal holder to prevent corrosion. It is widely used on everything from office chairs to portable equipment, small machinery, trolleys and rack, etc. The 2inch Wheel Chair Casters can be used on low-pile carpeting, chair mats and all hard floor surfaces. Black wheels with a dual escalator raceway system balances the load evenly for smooth swiveling and effortless rolling. 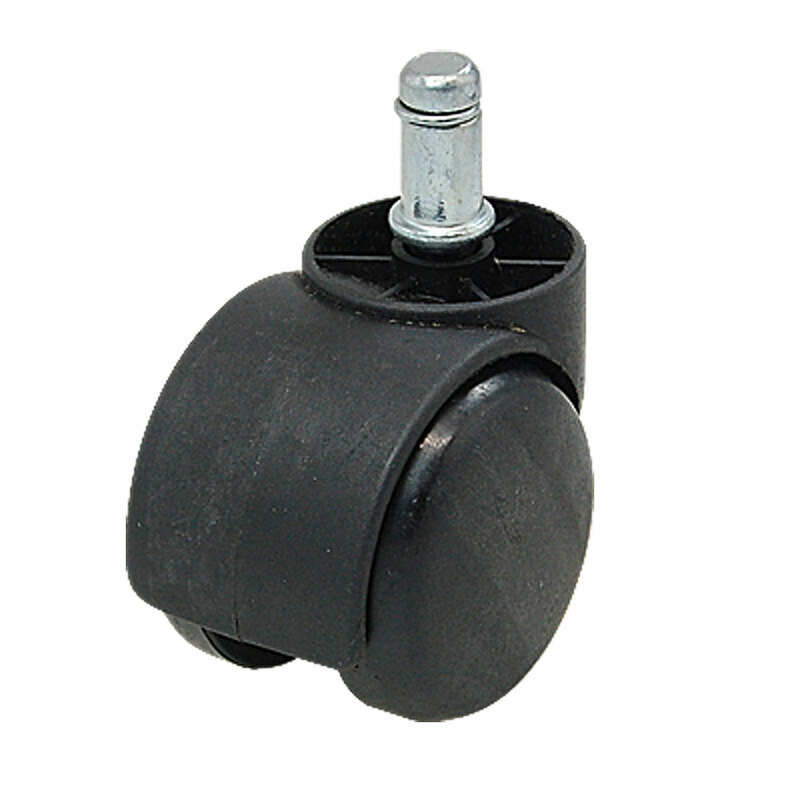 Economical, long lasting Black Chair Casters can be used on most office chairs as a portable equipment. Grip ring connector size: Approx. 7/8" x 7/16"(L*D).